If you grow up in the South Puget Sound region of Washington State, you know Ocean Shores. As as child I went camping there with my family. As an adult Peg and I celebrated our first wedding anniversary there and later we too took our children there. Today we travel to Ocean Shores sometimes as a couple and sometimes with our friends. We always have a good time. "Darius is a young intern at a Seattle-based magazine and jumps at the chance to investigate the author of a classified ad seeking someone to travel back in time with. Along with Jeff, the staff writer, and Arnau, a fellow intern, the three go on a road trip to a coastal town. While Jeff just wants to chase after his high school crush and Arnau wants some kind of life experience, Darius spends her time with Kenneth, a man who believes that he has built a time machine. 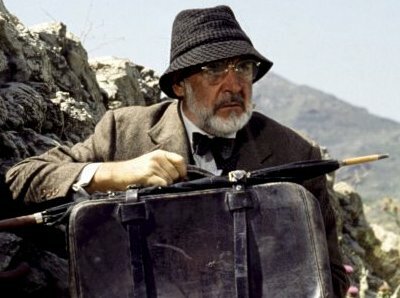 The closer they become and the more they understand about each other, the less clear it becomes if Kenneth is just crazy or if he actually is going to successfully travel back in time." 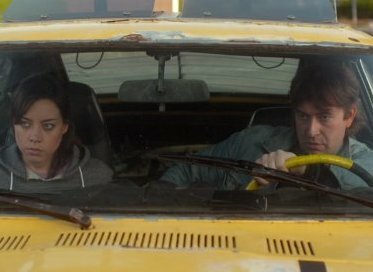 When Peg and I saw the previews of Safety Not Guaranteed at the Grand Cinema, our favorite movie theater in Tacoma, we knew the action took place in Ocean Shores. We thought, "How fun." We howled and laughed at the movie as we recognized the different locations and recognized local actors. We eventually saw it twice, as we do with many films that catch our interest. We like to watch films with friends and then bring more friends to share the films with. Something our friends appreciate this . . . and sometimes they don't. This trip was sharing both a good time with friends, and a new movie. 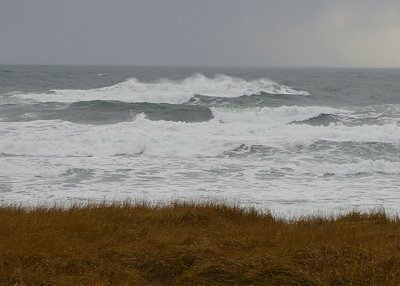 Weather reports are not generally something we concern ourselves about with Ocean Shores. If it's raining in Tacoma, it could well be dry on the coast. If it's raining in Ocean Shores, then it's probably going to be raining in Tacoma. Peg and I wanted to leave Thursday by one o'clock in the afternoon. Wanting and doing are two different things. We left Tacoma about ten after two. Our friends Don and Debbie Irwin left their direct mail marketing headquarters. About ten minutes before we pulled out of our driveway. We still had needed trips to the gas pump and the bank, however. Soon after we hit the freeway Donn and Deb were pulling off just southwest of Olympia for lunch. The freeway was wide open. By the time we reached Elma we were ahead of the Irwins. We met up at Safeway in Aberdeen for supplies and a bite to eat for Peg and me. We always worry about traffic leaving Joint Base Lewis McChord in the late afternoon. Our friend Rob Erb had traveled early for a round of golf and to check in for two condos at Ocean Shores. We arrived in the near darkness and rain in the early evening. Normally, we would have gone as a group to the grocery store in Ocean Shores, but this was not a typical trip. Rob's brother, Paige would be coming down until the next day after work. 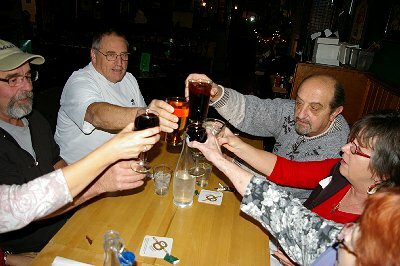 Another couple would not be joining us as all, and the last couple would be joining us after work on Friday evening as well. 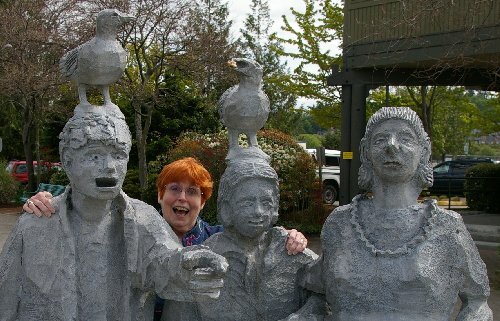 The five us in Ocean Shores, however had definite plans. We had tickets for the midnight showing of The Hobbit at the local premier. We knew the film would not be a short one, so we all took naps. We left for the theatre well before midnight where we bought Nathan hot dogs, popcorn, and pop. Peg and I both love to read. I introduced Peg to The Hobbit in the early days of our courtship. We read Lord of the Rings of course. And have seen the movies, but have anxiously awaited The Hobbit, which is much lighter fare. Donn and Debbie and Rob were as ready as we were to stay up half the night. In Tacoma, the movie would have been sold out. When I bought the tickets on Tuesday over the phone, our purchase doubled the sales. By the time we picked up our tickets only 37 tickets had been sold for this midnight showing. We were arguably the oldest people in the audience. 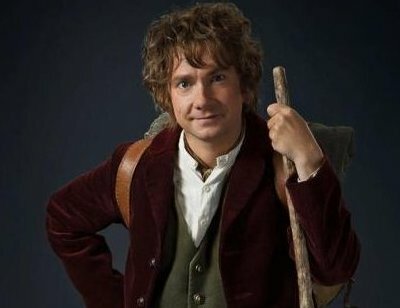 I really enjoyed Martin Freeman's performance as Bilbo Baggins, but I was confused with the opening showing an older Bilbo Baggins and the hero of Lord of the Rings, Frodo Baggins. The ten minute or so intro could have been easily cut. By the time the familiar phrase, "In a hole in the ground there lived a hobbit . . ." I was already a little miffed. Our eldest granddaughter, however enjoyed the entire movie. I could have lived with many of the chase and violent scenes being shortened, but I enjoyed the film especially scenes like the one with the three trolls. 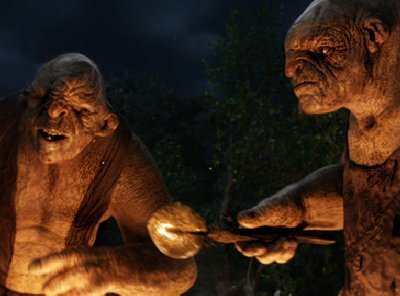 Bilbo shows his worth and helps rescue the thirteen dwarves, with whom he is contracted as a "burglar." I do wish Peter Jackson, the producer had made one film from the short book, but still. I will pay and watch the other two when the are released . . . maybe even in Ocean Shores. Friday morning I woke up early and then went out by myself. I drove by Sharky's several times, but they weren't open yet. Sharky's was captured in the film "Safety Not Guaranteed." 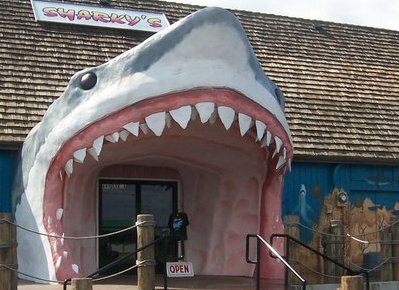 In the movie the town was identified with a different name, but the familiar look of many of the street AND the gaping shark maw entrance of Sharky's Gift Shop was easily identifiable. 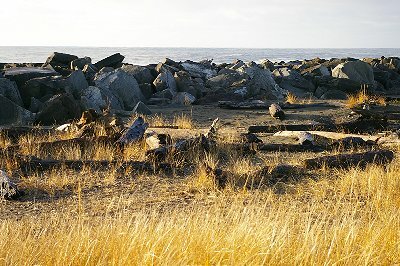 The main streets of Ocean Shores run north and south and east and west. In between the golf course, the airport and main road the residential roads loop and curve around. Critters roam the streets, so it's best to observe the speed limit signs. Tickets are expensive in Ocean Shores, also. Beware. From our condo living room and deck we can look south and see the rock jetty running out into the ocean. I've seen it many times, but never had the inclination to walk down to it or even drive there. Friday morning I took the time to drive down and look around. Between the road and the jetty wall there is sand and driftwood to accommodate sitting and just enjoying the view. The rock wall helps protect you from the constant wind. The wind is always blowing in from the ocean. Usually you can wear a warm coat and not worry about the wind, but when the temperature drops to around freezing or below, it's best to enjoy the view from inside the car. Even though the skies were blue, but morning was a little cool. It warmed up nicely as the day progressed. As I drove into the parking lot at the grocery store Donn called on my cell phone. I told him to let Peg sleep in, but I would be happy to meet him and Deb along with Rob for breakfast. We chose the Ameci Restaurant. When our group traveled to Italy about five years ago we checked into our rooms. While the rest of the group took a nap, I went for a little stroll on the streets of Rome. I ended up a couple blocks away from my hotel. I was looking for a friendly bar and found the Ameci Bar. Ameci is friendly in Italian. I sat down at a street side table and ordered a beer. Soon other members of our party just happened by. Within twenty minutes from sitting down, our entire group had found their way to the Ameci. 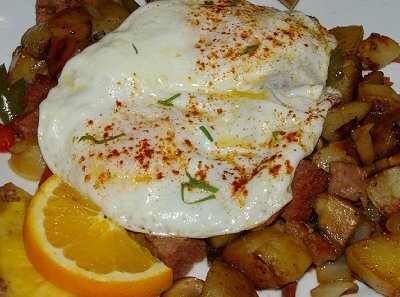 There are only about three places to eat breakfast in Ocean Shores. 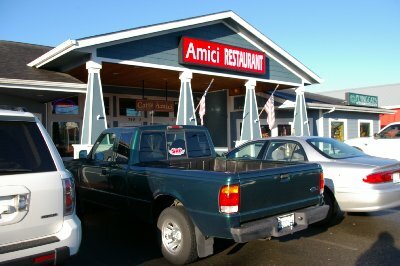 We've eaten at the Ameci several times over the last four years. However, something changed. As the four of us gathered on Friday morning, we each were served different items, which were outstanding. I asked if there was a new cook and was told, "No, he joined us about a year ago." That explained everything. Last year we didn't make the December trip to Ocean Shores. Rob's mom passed away and so he had strictly family join him at the condo. I ordered my standard biscuits and gravy with sourdough toast substituted for biscuits. In addition I ordered a cookie. It was a chocolate chip, macadamia nut and coconut cookie. 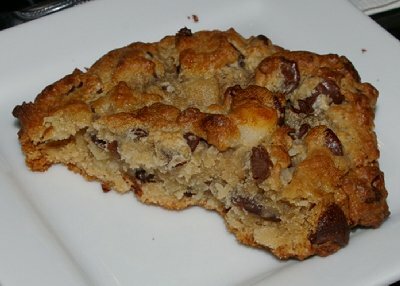 It was the best cookie (outside of Peg's cookies) I've ever eaten. 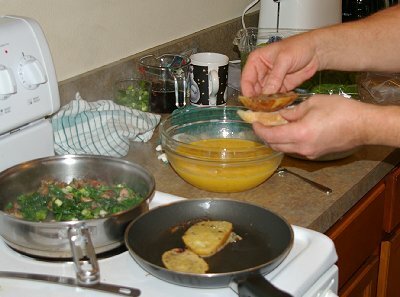 Rob loved his Italian sausage omelet, Deb loved her wrap, and Donn loved everything. We decided to return on Sunday morning to start off our trip back to Tacoma. After breakfast I continued driving the streets of Ocean Shores. I drove past a side street and saw a deer sitting under a tree. I turnaround and drove down his street . . . rolled down my window and took his photo. Then I looked to the right and saw another buck sitting by a "no trespassing" sign . . . and then noticed another buck standing on the front porch of the home there. After I several pictures I continued on and began turning around to go back to the main road and saw a collection of does grazing along side the road. 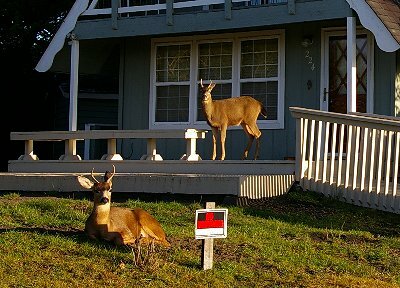 There are tons of deer in Ocean Shores. I saw one grouping of does and yearlings that numbered around eight or nine. It was tough counting them as they moved and I drove by them. I like deer. Some people refer them as yard rats, but I think that's unfair. After the deer I drove towards our condo complex. I passed it. 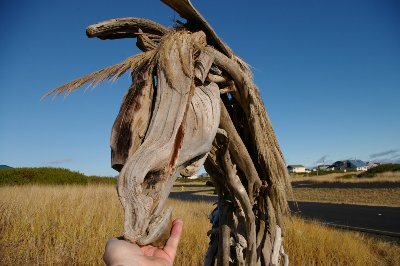 The weather was nice and I had seen a driftwood horse sculpture and a metal sea horse sculpture about a block or two past the condo. The horse was really nice. I let him lick the sea salt off my hand. He was gentle and friendly. I called him Sandy. We struck a cord. I had a pony when I was a youngster, but haven't gone riding in years . . . although that was at Ocean Shores. I like horses, but don't feel the urge to get on one. The last two times I enjoyed a horse was watching War Horse and Secretariat. Back at the condo Rob joined Peg and me in our room. He showed us how he uses his ipad, Velcro-strapped to his leg, when he pilots a plane for the Civilian Air Patrol. He's on the cusp of retiring and plans to golf more and fly more. Donn and I constantly poke fun at Rob and he pokes back. I don't think we have ever gotten under each other's skin . . . no matter how hard we try. Donn and Rob belong to the same cigar club along with a couple other of our friends. More power to them. I don't smoke, but I do like to eat and BS a little bit. Sometimes the BS does overtake us all, but mostly it's within reason. Friday evening after everyone arrived who was supposed to arrive, we shared a chicken salad dinner and then played "Mexican Trains." 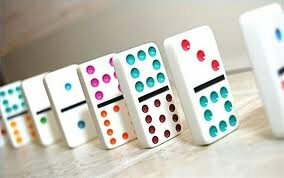 Mexican Train, also known as simply Trains, is a game played with dominoes. The object of the game is for a player to play all the dominoes from his or her hand onto one or more chains, or "trains", emanating from a central hub or "station". The game's most popular name comes from a special optional train that belongs to all players. However, the game can be played without the Mexican Train; such variants are generally called "Private Trains" or "Domino Trains". It is related to the game Chicken Foot. We love the game which requires both skill and luck and lots of laughter. Saturday morning started off with another meal together. You would think we would get tired of this, but there is always something new to talk about and kid around about. Actually, I went to the condo office first and check my emails. If I don't check them everyday, they mount up. 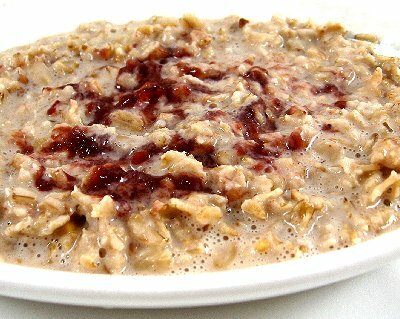 Donn loves oatmeal and so likes to cook "steel cut" oatmeal for breakfast. It's served with butter, brown sugar, nuts and raisins and so is probably only slightly more healthy than a decent oatmeal cookie, which I love. Although I love grits, the texture of oatmeal turns me off, but still oatmeal cookies are at the top of my love list. For the Friday night dinner Rob had purchased some cranberry relish, which was used on the chicken salad as well as the oatmeal and French Toast. The Irwins had brought along eighteen eggs for fried or scrambled eggs. We had left-over loaves of artisan sourdough and olive breads. We sliced those up for French Toast. Down settled on wrecked eggs with fresh spinach. To that Peg added some fresh feta cheese. Well, it was fresh from Safeway. We didn't prepare it. Breakfast was a complete success. Like the dwarves in The Hobbit we cleaned up after ourselves in no time and all and prepared to meet the day after a quick nap. Or perhaps, it was just me who took the nap. The reality is lost in lore. Lunch was off the table, but shopping wasn't. We visited Galway Bay our favorite Irish pub and restaurant. They have a nifty gift store with items from the Emerald Isle. Peg selected two pieces of jewelry. I was astounded when I tried on some hats and they actually fit. I have big head, so when I find hats that fit I buy them. I chose a brown tweed fisherman's cap and a blue/gray Irish walking cap. I wore the brown cap and Peg had the walking cap gift wrapped for a Christmas present. The people that counted thought I looked like Sean Connery . . . but sexier. Our purchases were placed in a bag and given to me for safe-keeping. We all thought at perhaps a beer was in order, so we left the gift shop and walked into the connecting pub. 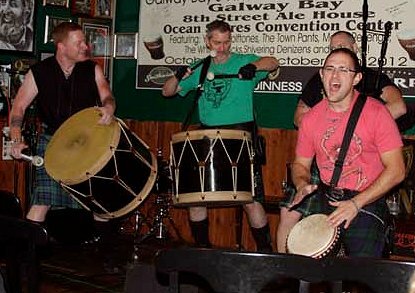 If we had come to Ocean Shores two months earlier we could have enjoyed the Galway Bay sponsored 9th Annual Celtic Music Festival. 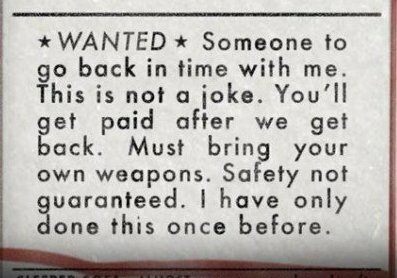 That would have been fun. Perhaps, we'll make the 10th Annual. Peg and I used to visit the Folk Life Festival at the Seattle Center. We would pick a venue and then just stay there for an afternoon. The acts would change about every thirty minutes. We would stay in one place and the individuals and groups would present their songs and then make way for the next entertainers. We would always have a book or two to read or simply talk in-between acts. It was always a lot of fun. I think we could do the same with the Celtic music festival. The only difference would be the beer. We took a couple of tables in the bar. I ordered a cider. The rest of the group ordered Pepsi, Guinness, Harp and assorted drinks. I was surprised. Here was early afternoon and there was a band performing on a December Saturday afternoon. Besides our small group there might have been three or four other people in the room. That meant we outnumbered the members of the musical group, but just barely. I recognized the music. It was Did She Mention My Name. I commented, "Gordon Lightfoot." Robbo responded with a nod of his head, "One of the railroad trilogy." I had never heard it played before and asked Rob if it was at the normal tempo and again he nodded his head. It was upbeat. I have the sheet music, but always play it rubato, which is Italian for "stolen time." I love the tune. I dropped a fiver in the tip jar. I took several photos of the group. From the mic Norm Heutmaker on guitar asked if I could email the photos to him. No problem. I asked if the knew the song From the Window Up Above. As they took a break Norm said the woman on fiddle knew that tune. It turned out it wasn't really a group. They all belonged to different bands in the Seattle area. They were just playing for their own enjoyment. I like that. My friends all left. I stayed with my shopping bag and my glass of cider. The band returned. Norm came over and said they would play a different George Jones song, She Thinks I Still Care. They did a nice job and even through in the parody of the tune, She Thinks I Steal Cars as well. After their next song, Gene Autry's Back in the Saddle Again I waved my approval and walked outside to find snow on the asphalt of the parking lot. The wind had picked up and the temperature was dropping a little. The sky and the waves got a little more gray. The weather reports talked about an upcoming storm with gusts up to seventy miles per hour. December at Ocean Shores. You have to love it all. 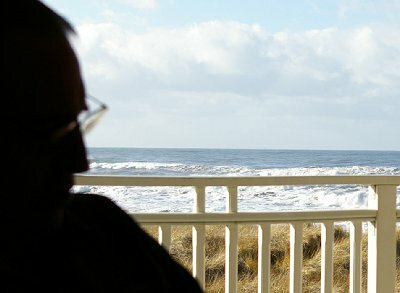 Two of my favorite moments at Ocean Shores were Valentine's Day weekend about fifteen years ago. The snow and a hawk slowly drifted across the dunes. It was beautiful. 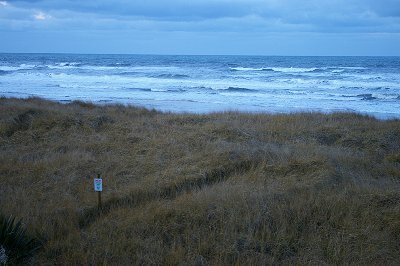 Peg and I traveled to Ocean Shores in November to celebrate our first anniversary. We didn't have a lot of money so we packed some homemade mackerel sandwiches (we couldn't even afford tuna) and planned to camp behind the dunes. We left after work in the dark and stopped about half-way between Olympia and Aberdeen after work to eat the sandwiches. They were oily and terrible. We elected to spend the money and bought a bucket of KFC, which we took to the beach. We sat in our car, a 1955 two-door hardtop Chrysler New Yorker with a 331 Hemi and ate our fried chicken in the dark. It was the best chicken I've ever eaten. We pitched our tent, but woke up about midnight with the tent swaying in the heavy winds. We sat up the rest of the night gripping the center pole and each other tightly. We've celebrated many anniversaries since, but that memory is one of my favorites. While the winds kicked up Peg, Debbie, and Sue created driftwood art. 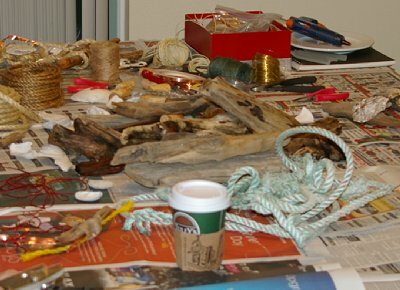 In addition to the driftwood and shells scavenged from a walk along the beach, there were lengths of rope, copper wire, copper tape, and different pieces of flotsam. 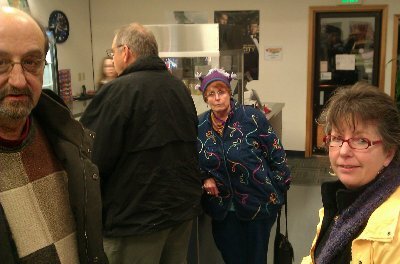 I kept offering the group my collection of dead Coppertop AAA batteries from my camera, but I all I got in return was a scowl from Peggy. She thought I was making fun of them, but I was serious. I think the batteries would have blended in with the other pieces for the wind chimes and wall hangings they made. The colors would have been perfect. It was an artistic suggestion, not a sarcastic one. When it got dark the hail came. As it beat against the window we looked out at the hot tub below where several teenage girls were covering their heads. 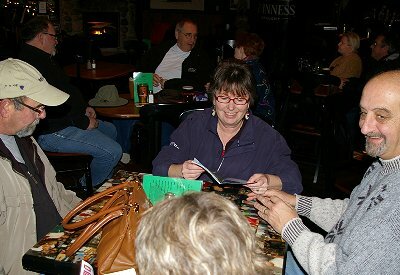 We had made dinner reservations at Galway Bay for 6:15. The music was to start at seven. We figured that would give us time to order and eat before the entertainment began. Peg and I rode with Rob after I promised him that we wouldn't stay past eight. When we arrived they sat us at a prepared table next to the bandstand. The server mentioned they had a present for us. It was the bag of purchases, which I had forgotten and left behind at our earlier trip to the pub. Not one of my prouder moments, but I did object to Peg calling me an idiot. The bag was worth about three hundred dollars. I hadn't even missed it, so perhaps Peg was right in her assessment. 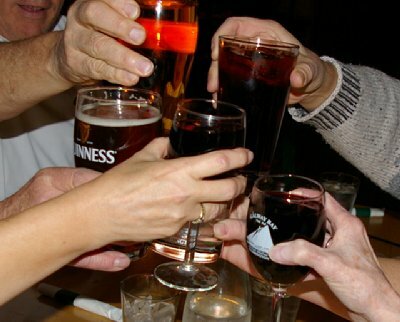 Once our drinks arrived, we gave a toast to Friends and Fridays, it's what we call our little group. We generally get together on Friday nights. We sometimes have as many as fifteen people at anyone time. All of us that went to dinner are part of the group and had eaten at Galway Bay before, so we already knew we would be having a good time. Rob's brother decided to stay at the condo by himself with a pizza and movies on DVD. I knew what I wanted. 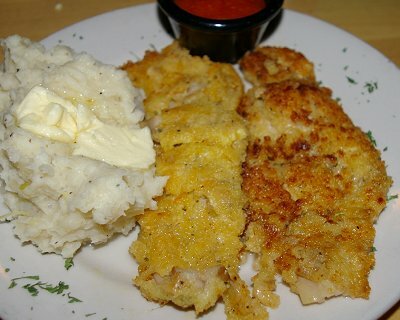 Clams were in season and fried razor clams was the special of the day. 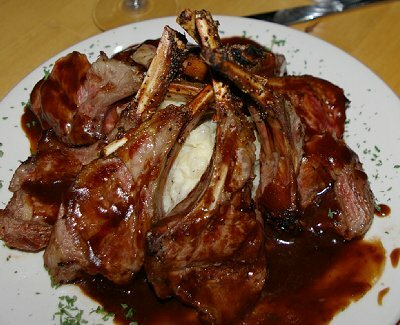 Peg ordered the rack of lamb, a traditional Irish offering. We also had clam chowder. Rob had the Guinness beef stew, but I think everyone else had the chicken pasty (an Irish popover). All dinners were accompanied by colcannon (Irish mashed potatoes mixed with cabbage and lots of butter and cream). Peg enjoyed her lamb, but said later she wished she had ordered the clams. The clams were really good. They had a light coating and fried just long enough to get crispy without letting the clams get tough by over-cooking. With a little lemon juice and tarter sauce they were well worth the money. Served with the meal was Irish soda bread. Their recipe is quite a bit sweeter than most. It goes down well with butter and cider. The entertainment was Cronin Tierney. 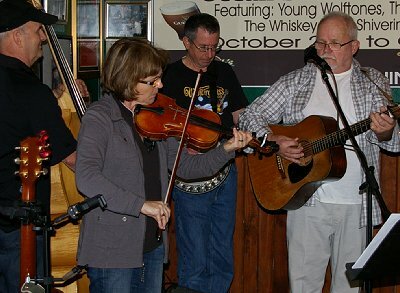 He had performed for us two years ago in December when last our group gathered in Ocean Shores. He provides a nice selection of tunes. He can play Irish tunes, folk, rock, and some Broadway. He has a nice manner on stage. It's obvious that he's been a professional for years. He doesn't perform with a pre-arranged set. After entertaining us, he might was to re-think that position . . . or at least this time next year. He asked for requests. Our table was right next to the stage and so we could easily be heard. He had opened with Catch the Wind which had been written by Bob Dylan and performed/recorded by both Dylan and Donovan. I requested My Back Pages by Dylan, but he didn't know it and then I requested Season of the Witch by Donovan, but he didn't know that. Peg had me ask for Frank Loesser's Some Other Time. Nada. Rob apologized for our obscure requests. Cronin moved into some Beatles tunes and gave us Act Naturally. Sue and Randy chimed in as backup singers from when they performed as The Shadows. 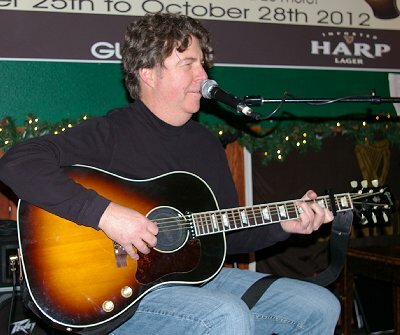 Cronin won our hearts when he sang a song about the hard life of a professional guitar player, his agent, and his wife. At the back of the pub is what looks like a giant glass of Guinness, but in reality is a door to a beer garden and outside cigar lounge. Both Rob and Donn investigated the garden while Randy who loves beer (Bud, please) hammed it up for a funny photo op. Randy and Sue were childhood sweethearts. She played accordion and he played rhythm guitar. Randy was in the group mostly to be close to Sue. I think he still worships her, which is adorable. They are two of the sweetest people we know. We traveled to Hawaii last year with them and stayed with Donn and Debbie at their three bedroom home on the big island. We had a relaxing two weeks there with them. Cronin plays guitar, harmonica, and piano. We bought two CDs and gave one to Rob, who also loves music. 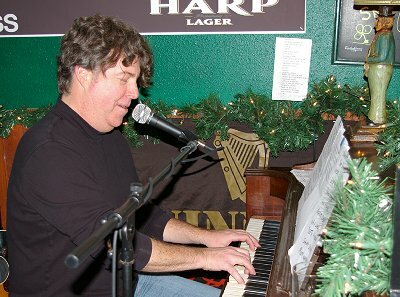 My favorite of the evening was when Cronin sat down at the piano and played a very simple version of Auld Lang Syne, which he used as an introduction to Danny Boy. I could listen to that every night. Cronin is a wonderful performer. He talks a bit, drinks a bit, and sings nicely. On a cold night and windy night in Ocean Shores, who could ask for more. We left him about 8:30. There was still about thirty people in the pub, but many of them were talking a bit too loudly for me. I hope they were kind to Cronin after we left, but I doubt it. I'm sure Cronin is used to a drinking crowd. 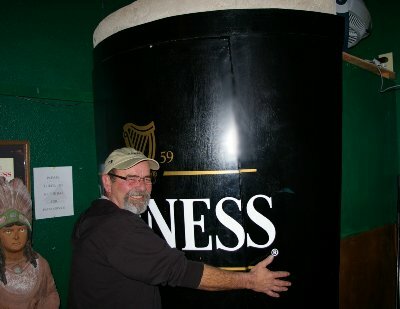 It was after all an Irish pub. Even though Peg said she wished she had ordered the clams, I enjoyed her lamb. It was served medium rare. She gave me two or three chops. They were seasoned nicely. The gravy/sauce went very nicely with the colcannon. We left the pub and hopped in Rob's truck. His CD player wouldn't eject the previous CD, so we were unable to listen to Cronin as we drove back to the condo. We only saw two deer along the road. Since it was dark, you can bet we just didn't see the rest of them. In the parking lot I found a couple of puddles on the asphalt. We went to our rooms and decided there would be no Mexican Train playing on Saturday night. We called it a day without making adequate plans for the morning. We all just kind of shuffled around Sunday morning. Peg slept in more than the others, but we got packed up and checked out about nine, which I thought was perfect. We had already agreed to have breakfast once more at the Ameci. Not all of us had eaten there, yet. I ordered the chicken fried steam with my standard wishes of "hashbrowns burnt, burnt, burnt . . . with an onion cut up in them." The hashbrowns (Yukon Golds) were absolutely perfect, but as soon as I saw how thin the steak was I knew it was going to be over-cooked. And it was. Peg had my over-easy eggs, rye toast and bacon cooked crispy just like she loves. I might not have liked the steak, but I left with a collection of cookies, scones, and rum ball-type cookies. These items became Sunday night dinner and Monday breakfast. Excellent. Once again we had a great time with our friends in Ocean Shores. Peg and I will go again . . . maybe for the Celtic Music Festival . . . maybe just for the fun . . . maybe for camping in a tent during the middle of a winter storm . . . or maybe not. The Hobbit in Ocean Shores 2012, galway bay ocean shores, ocean shores, The Hobbit in Ocean Shores 2012 Washington wa.